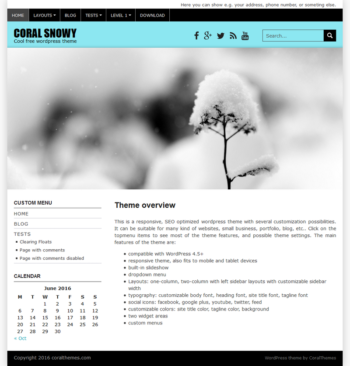 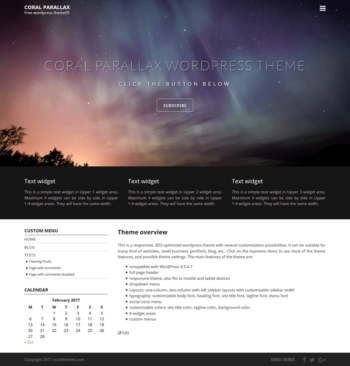 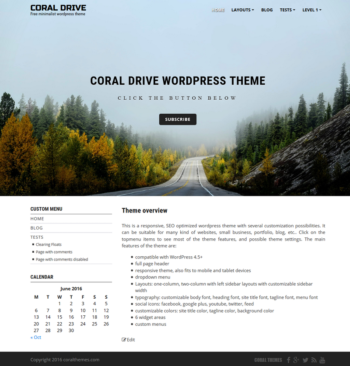 Coral Dark is a free responsive theme with one-column or two-column layout, and built-in slideshow. 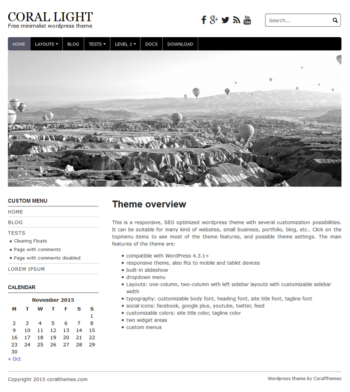 The theme is optimized for SEO, and suitable e.g. 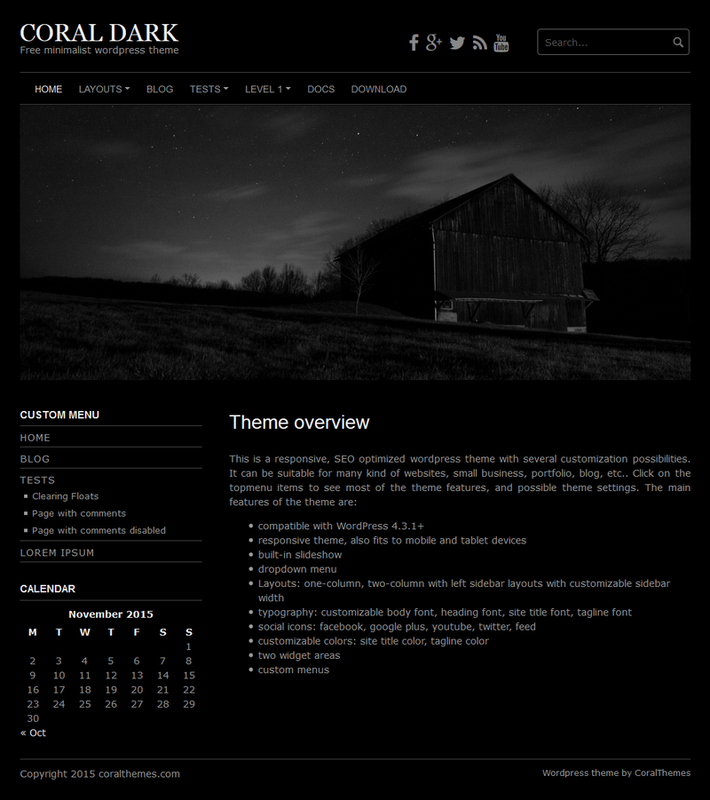 for a portfolio gallery site or a photo blog that can be spectacular with its dark, black background.